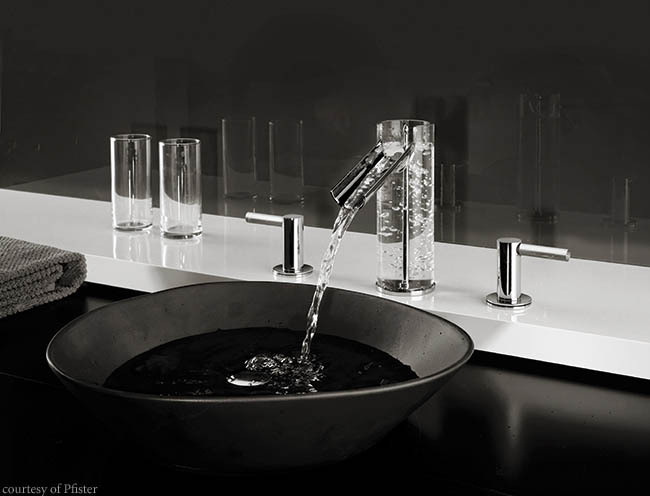 The Uffizi Faucet from Pfister, with its gorgeous glass trough design, is the first of its kind to be available to the North American customer. Well, in reality, maybe that’s just what I wish they had said. So while I didn’t actually get to buy all of these items, it didn’t stop me from finding my favorite products from the industry’s largest annual gathering. 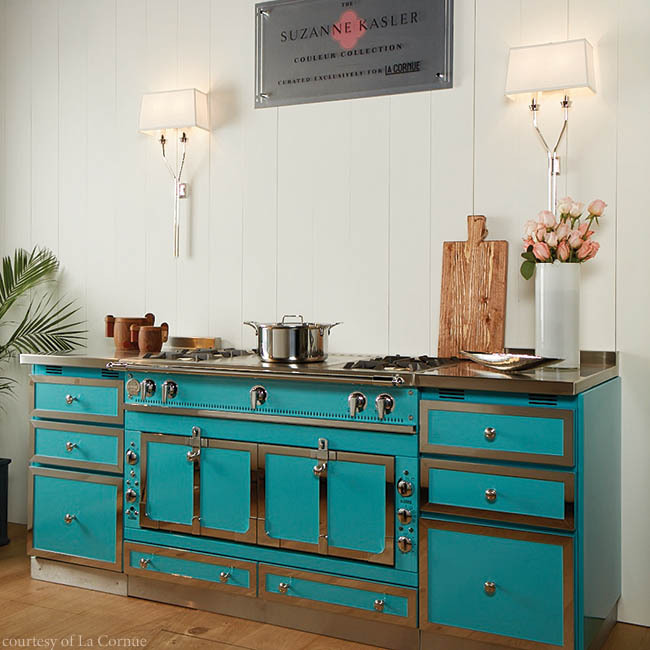 Among several luxury items in the La Cornue display was the Chateau 120 Range in the gorgeous Basilica color, which is part of The Suzanne Kasler Color Collection, exclusively for La Cornue. The trim is all polished stainless steel with polished chrome accents. The Chateau Series is available in seven sizes, ranging from 30 inches to approximately 71 inches in length. 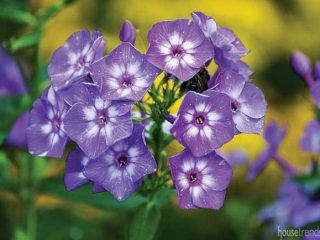 Each size has a variety of configurations and finishes available. 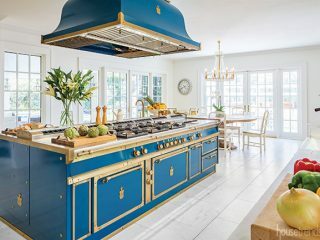 La Cornue has been manufacturing their handcrafted French ranges since 1908, and the various ranges in the Chateau Series, which are completely custom and made to order, run from $24,600 to $53,600, before freight and delivery charges. 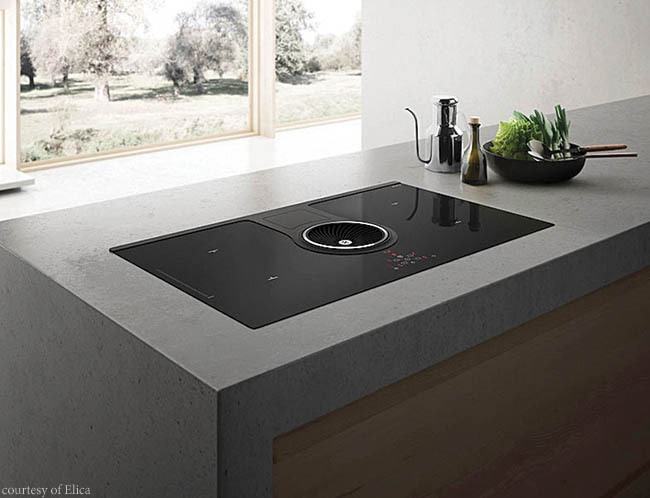 The Nikola Tesla product caught my eye when the Elica presenter was heating water in a pan, and this new aspiration hob was drawing the steam right in to the cooktop—eliminating the need for a range hood. Headquartered in Italy, Elica named this product after the inventor who was born in what is now Croatia and worked for Thomas Edison after moving to the United States. This beautiful faucet grabbed my attention as I approached the Pfister area at the show. I didn’t recall seeing anything like it before, and after learning more about this faucet, I realized I was correct. 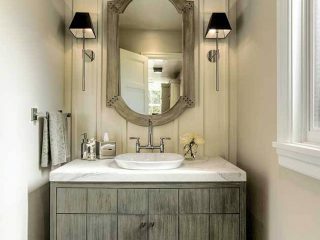 “The Uffizi is the first glass trough faucet available to the North American customer,” said Pfister Marketing Manager Tim Burdett. 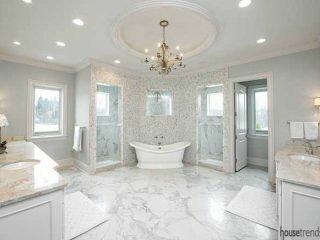 This innovation from Pfister brings another artistic element to faucets. 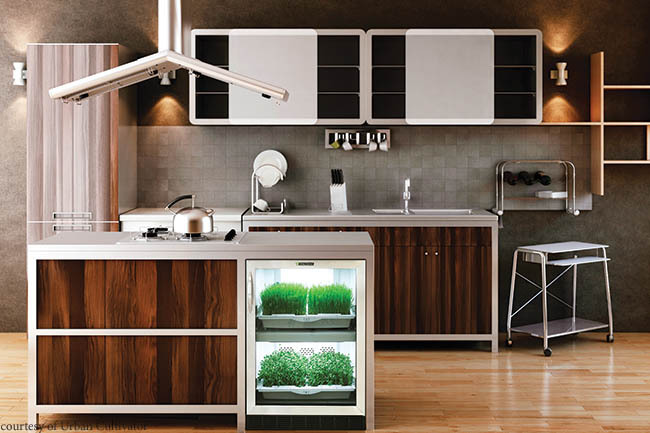 This appliance, manufactured by a company headquartered in British Columbia, Canada, allows owners to grow herbs and greens all year long. 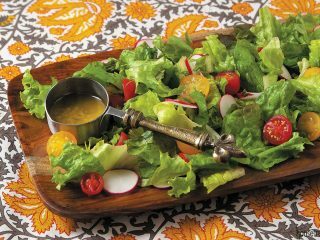 The opportunity to grow my own food – such as basil, lettuce, parsley and much more – and help create a healthier diet sounds great. But does it take a lot of work to get great results? According to the folks at Urban Cultivator, the answer is a simple no. Perhaps the most jaw-dropping visual at the shows was Genuwine Cellars’ display of their subterranean Spiral Cellar. 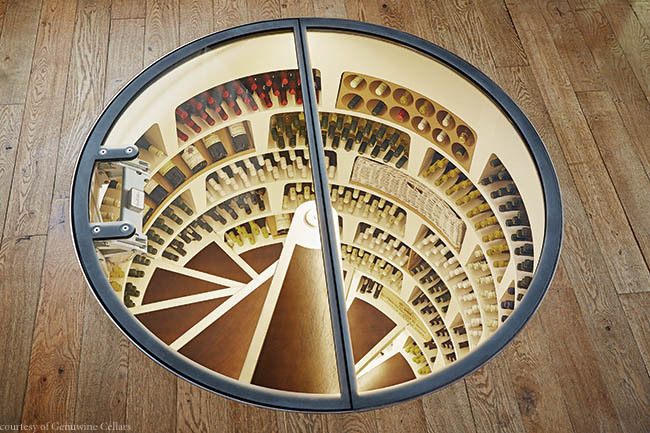 This beautiful wine cellar is sure to create a wow factor wherever it is installed—from a fully excavated space below grade to one that passes through a basement or subfloor—both with a seamless mechanically opening door. 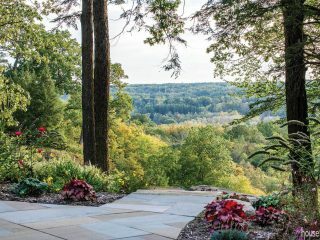 Genuwine Cellars says these products can be part of a new build or a renovation project, and they usually take no more than three to five days to install. 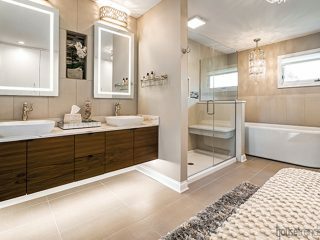 There also are a variety of entry-door options as well as upgraded finishes and colors. And with a capacity of up to 1,900 bottles of wine stored in optimal conditions, it is much more than just a showpiece. The panel of judges was comprised of prominent architecture and interior design professionals. 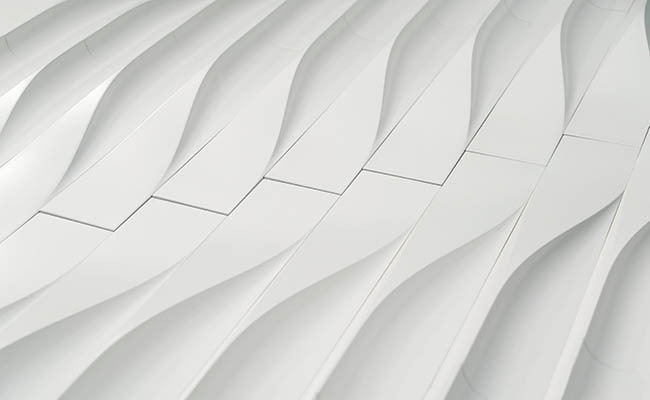 It was Liquid Forms by Aybars Asci that won over the panel. Seeing his work in person, it’s easy to see why the judges were so impressed. This unique art form could do wonders for the décor of a home—or the Housetrends office! 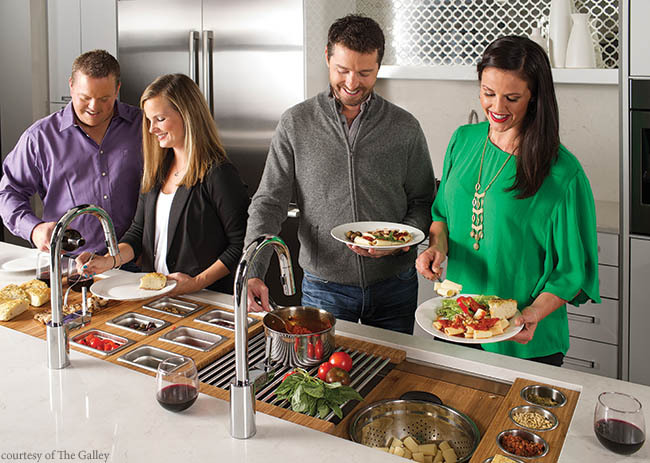 Described as “more than a sink,” The Galley Workstation puts everything a home cook needs right at their fingertips. Need a cutting board, a colander, a drying rack and bowls? Don’t worry. The Galley Workstation has all of them. 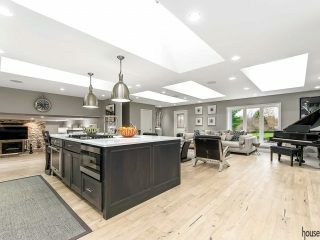 “It is a super functional, smart and stylish workstation where one can prep, cook, serve, entertain and clean up in one convenient place,” according to The Galley, which manufactures these kitchen gems. Made in the USA, The Galley Workstation can be a do-it-all solution for the solo chef or a great way to get others involved in the cooking process. And with a variety of sizes, finishes and accessories available, it can work in just about any kitchen. Color was everywhere at the shows, and BlueStar, the Pennsylvania-based manufacturer of premium kitchen products, had a great-looking range in a familiar color on display. 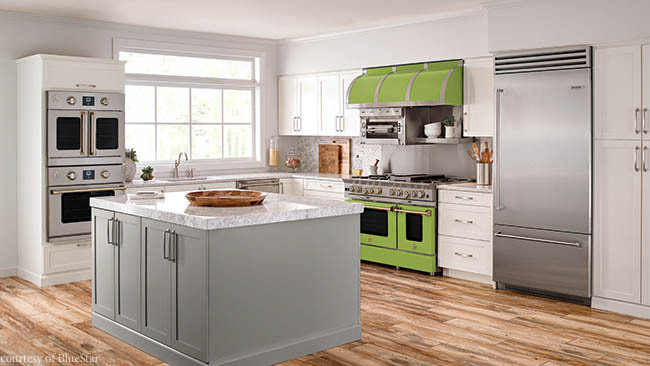 While BlueStar has appliances in more than 750 colors and finishes, plus custom colors, it was this range in Pantone’s 2017 Color of the Year, Greenery, that stood out. And the experts at BlueStar say it is part of a trend. 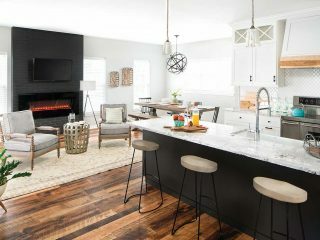 Over the last two years BlueStar has seen the growth in shades of green in the kitchen from sage, olive, grey green and now, the color of the year. Glideware’s Not-So-Lazy Susan earns a spot on this list for its innovative functionality. Until now. 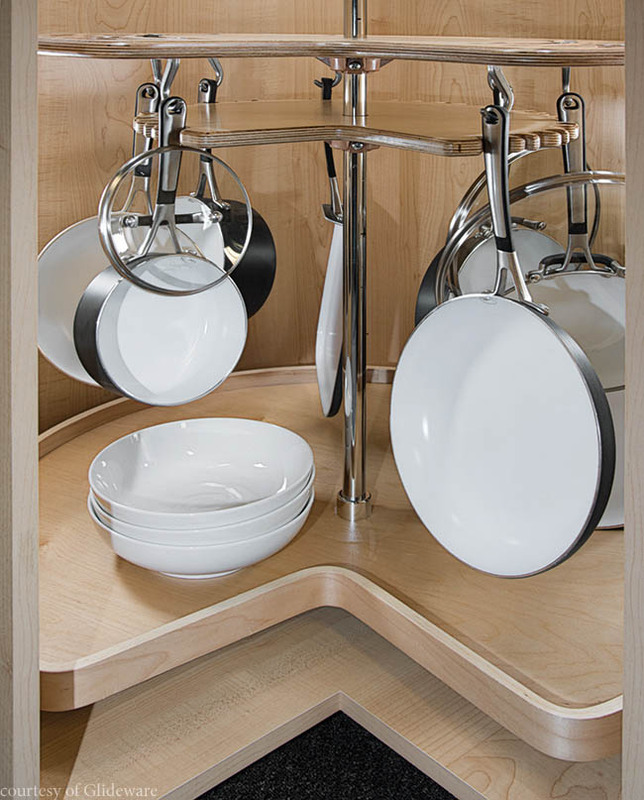 Glideware’s Not-So-Lazy Susan uses the entire space, taking a vertical approach instead of the traditional horizontal. This allows the user to easily store pots and pans in a place they previously could not. By simply tapping this refrigerator twice, the InstaView feature lights up the inside, allowing the user to see what is in the fridge without opening the doors. 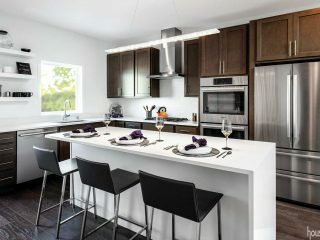 Add in the sleek black stainless steel finish, and this is a refrigerator that would fit beautifully in many kitchens. And apparently it’s not just me who was intrigued by this item from LG STUDIO. 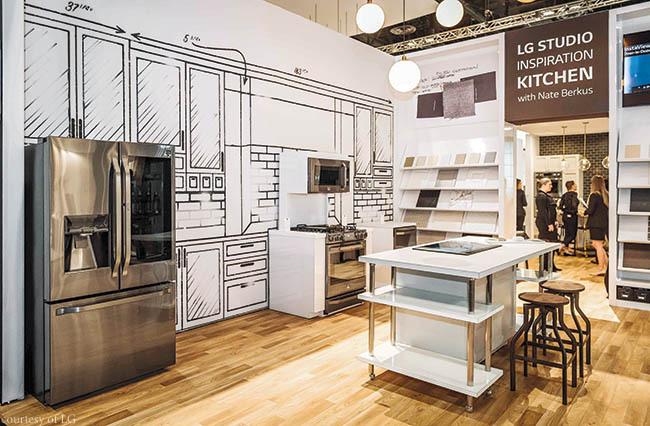 “In the few short months since LG launched InstaView into the U.S. market, this unique feature piqued the interest of many who are interested in ‘seeing’ their food in a new way,” said David VanderWaal, vice president of marketing for LG Electronics USA.